Parrot cage. Excellent condition. First to see will buy. 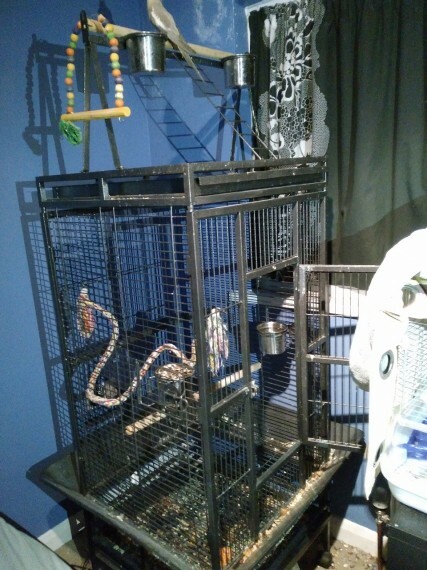 Cage will be properly cleaned and de-assembled for the buyer for easy transportation. All the bits are there. Nothing is missing. It has a play stand on top with feeder and drinker. 80 ono Please call only. Emails will not be responded to.